A murder mystery! Who killed the Metropolitan’s horse? Mathews Mar Athanasius (1818–1877) was the Metropolitan of the Malankara Syrian Church from 1852 until his death in 1877. As a reformer, he spent most of his time as the Metropolitan attempting to heal differences between the various factions within the church. Major General William Cullen (17 May 1785 – 1 October 1862) was a British Army Officer with the Madras Artillery Regiment, and from 1840 to 1860, he served as the British Resident in the Kingdom of Travancore and Cochin. 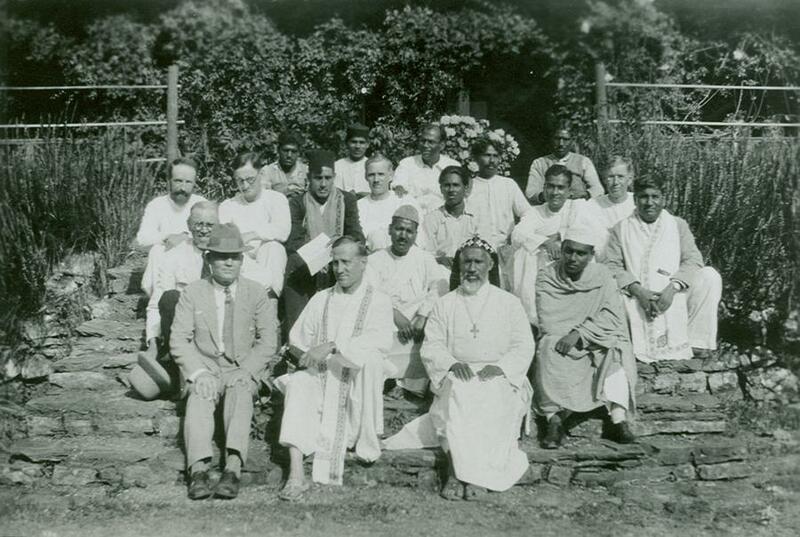 During his stay in India, he took a scholarly interest in the region and contributed to journals on geology, plants and the culture of the region. 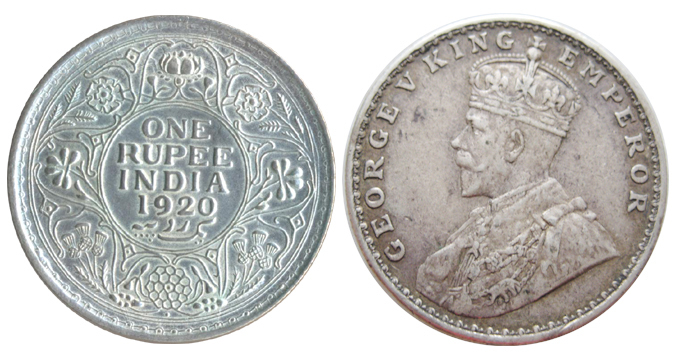 He was instrumental in establishing the Napier Museum in Trivandrum. Cullen interacted mainly with the Maharajas of Travancore Swathi Thirunal Rama Varma and Uthram Thirunal Marthanda Varma and took considerable interest in scholarly and cultural pursuits. He also took a keen interest in the Christians of Kerala. 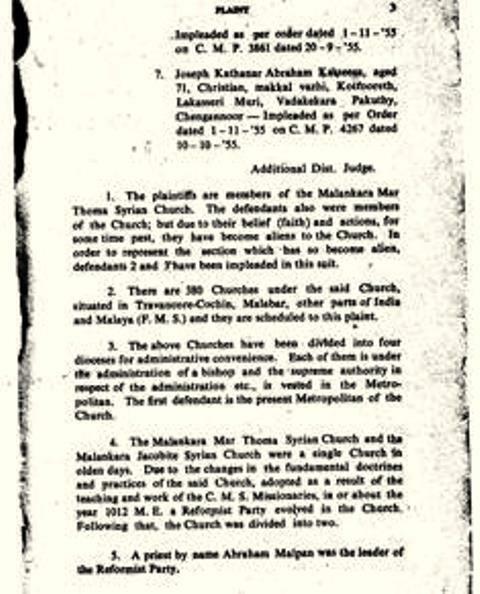 Mar Athanasius was approved by an order by the governments of Travancore and Cochin as Malankara Metropolitan on 30 August 1852. As head of the church he worked hard for the education of the clergy and for raising the moral standards of the people and the reformation process. From the beginning there was opposition against him from those who feared that he would be in favour of the reformation. The opposition became gradually strong and succeeded in enlisting the support of the Patriarch on its side. 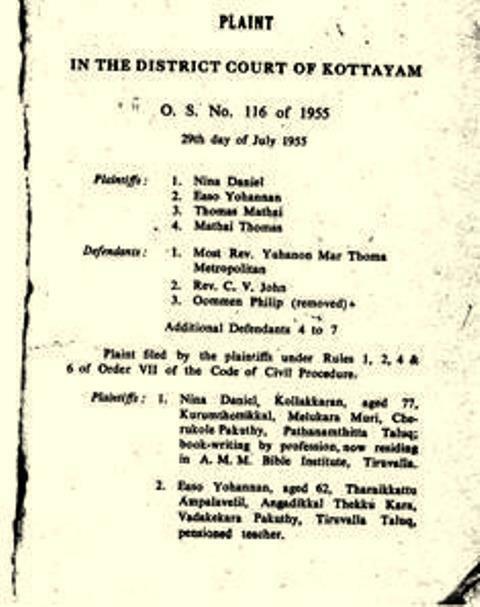 The opponents of Mathews Mar Athanasius had sent complaints about him to the Patriarch, who without a judicial enquiry appointed Pulikottil Joseph Mar Dionysius to supercede Mathews Mar Athanasius as Metropolitan. As a result of this struggle for power the church tended to be divided into two sections, one favouring reform and the other opposing it. It is said that the Resident William Cullen greatly admired the Metropolitan and gifted him a rare Panch Kalyani horse (Kathiawari breed). The female copper brown horse was bought at an auction held in Bombay and brought to Kerala. The Kathiawari breed horse was known throughout India as the purest and oldest of all horse breeds. Its origins are in the Middle East and the land of Saurashtra region in Gujarat, India, where the Kathi’s tribesmen and Rajput clan’s rulers used it as a warhorse. Princes were the breeders of the Kathiyawari horse. It was well known from the earliest times and prized for it’s beauty and high status as a war horse, and like most desert breeds could and can survive heat, poor feed and low water intake. (www.horseshowcentral.com) It is still used by the army and mounted police. In this breed, horses with four white stockings and a white face is known as ‘Panch Kalyani’ which means ‘Five Good Markings’ from God. 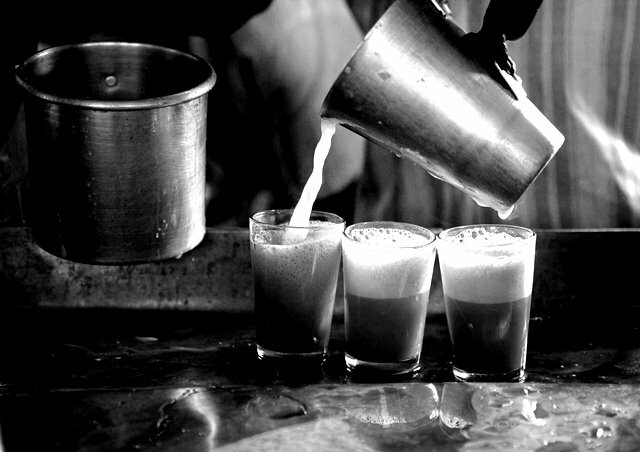 It was popularly known among the princely states as the ‘Horse of the Lord Krishna’. The ears are also know to point into each other. Metropolitan Mathews was known to call the horse with the pet name”Shomi”. He loved the horse and the favourite dish given to the horse by the Metropolitan was “Vatta Aopam” (Rice pudding), a delicacy in Kerala. Shomi had won first place in the horse race held in Bombay at the Royal Western India Turf Club before being bought by Major General Cullen to Kerala.It was known for it’s lightning speed and people exclaimed it could jump like a whirl wind. 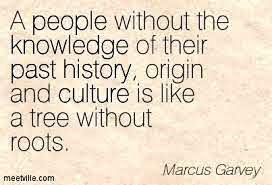 In those early days, there were no proper tarred roads nor vehicles. Mathews Mar Athanasius Metropolitan used to travel and visit churches on horseback. Owning a horse was a sign of power and usually only ridden by royalty. People used to travel across Travancore via boat or bullock carts . It was dangerous times and the Metropolitan had many enemies. He used to travel with a team of bodyguards. A man called Muthukkaramban was the chief of his security. He was very tall, dark in colour and was said to have been an expert in all sorts of martial arts.. This incident happened in 1853. 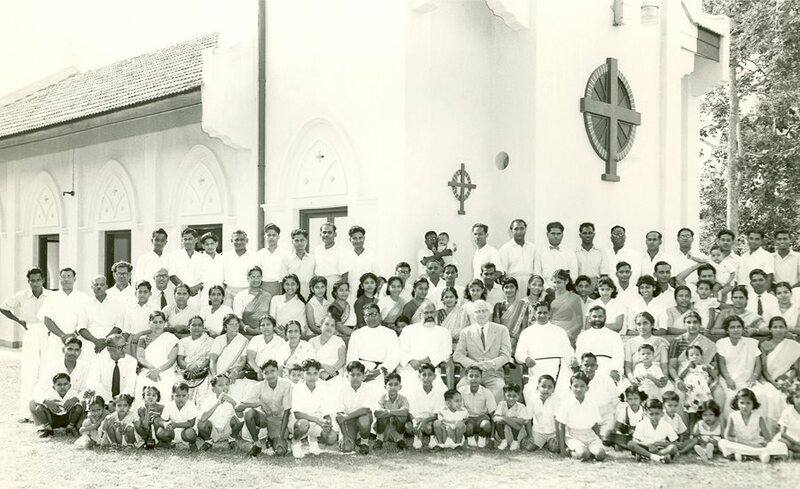 The Metropolitan was visiting the Puthuppally St.George Church. Few members of the Parish was against him because of his inclination towards the Reformation movement started by Abraham Malpan. One fine morning , during his visit to the Putthuppaly church, he found his horse dead in the horse shed. It is believed that the horse was poisoned by the enemies of the bishop. “Shomi” his Pancha Kalyani horse was the favourite horse of the Metropolitan and he could not bear its loss. He did not curse his enemies nor take revenge, or used the weapon of vengeance on anyone.They never apologized for their actions either. With the death of Pancha Kalyani, his favorite horse, his external ministry of reaching out people was affected. But no one could suppress his zeal and vigorous spirit for the work of the reformation. 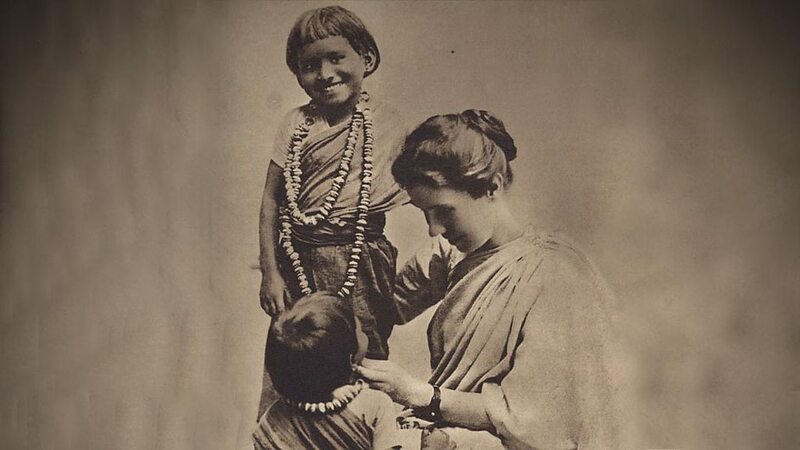 In 1856, inspired by the Anglican missionaries who cooperated with him in the Old Syrian Seminary at Kottayam, the Metropolitan printed and distributed prayer books in Malayalam, leaving out prayer to Mother Mary. 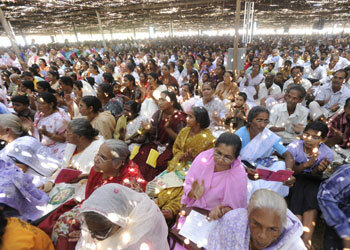 Holy Communion services were conducted in Malayalam the language of the people of Malabar. 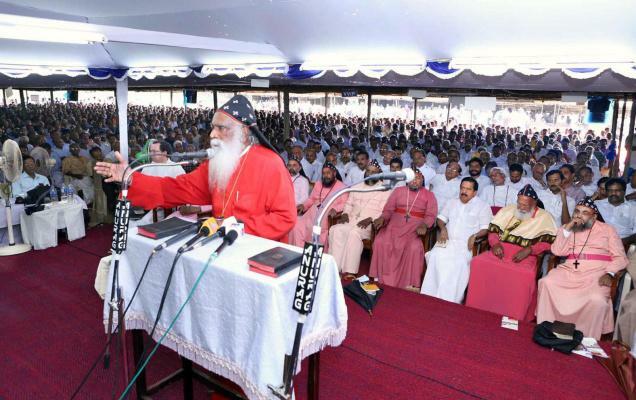 He preached at worship services from his days in Antioch and continued this new practice after coming to Kerala. 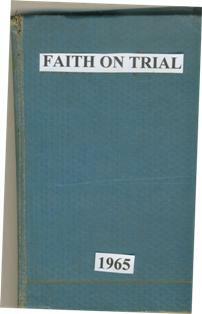 He encouraged his clergy to read the Bible and interpret it to the common people of parishes. He also allowed Tamil missionaries to preach at various churches. He was against honouring icons and statues, so he removed the statue of Mother Mary from Manarcaud Church (near Kottayam), and from Puthupally church, near Kottayam. 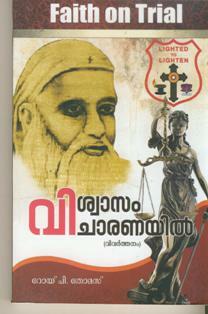 Mar Athanasius Metropolitan established a printing press at Kottayam for the use of the Church. 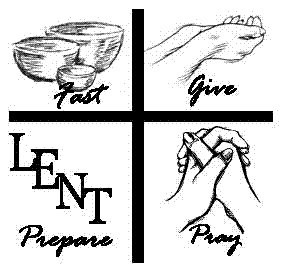 There, the liturgy was printed and published, omitting the prayers to Mother Mary and other saints. This infuriated a few priests, who opposed the Metropolitan and published another book with all these prayers included. 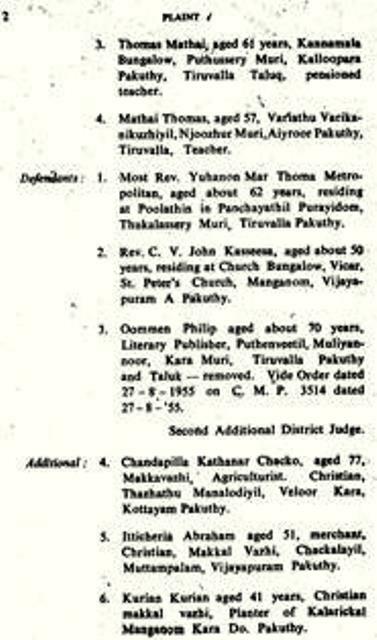 Thomas Mar Athanasius, son of Abraham Malpan was consecrated by Mathews Mar Athanasius as his successor in 1869. 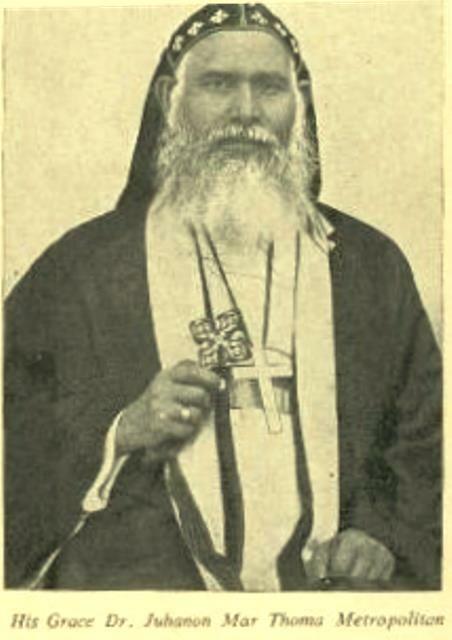 Mathews Mar Athanasius is generally considered one of the ablest Metropolitans of the Syrian Church. At this difficult time the support of leaders from the clergy and the laity who had been inspired by the spirit of the reform movement was a source of great strength to the position taken up by their bishops. Through his messages, Dr. Stanley Jones urged people to refrain from the use of tobacco products. During one meeting, he asked the convention participants to bury their tobacco (which they were carrying) in the sand on the pandal floor. In another meeting, he collected all the tobacco products from the people and burnt it near the pandal in front of everyone. 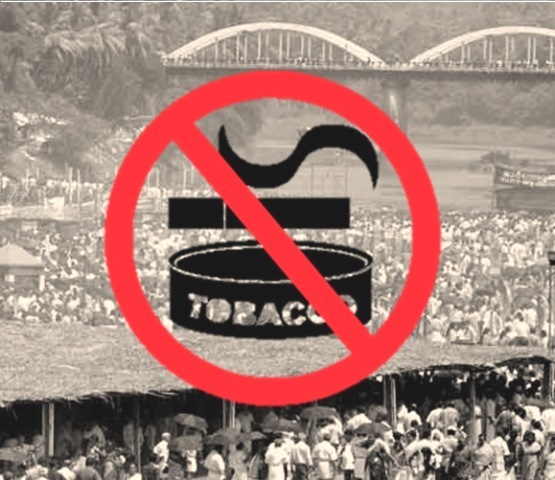 It is only after much persuasion that the people stop using it and today it is not permitted at the Maramon Convention pandal. 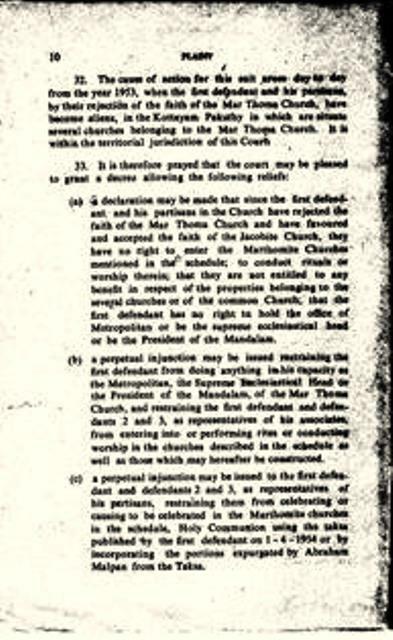 Though the first convention began in 1895, the sermons were delivered to the tens of thousands of church members who attended in a very unique manner. 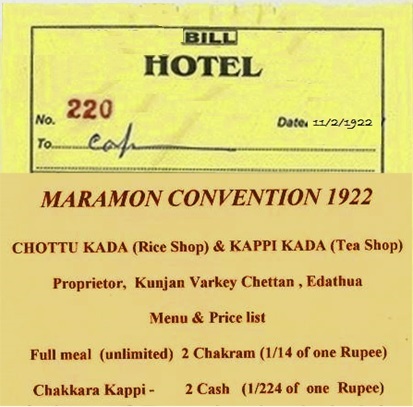 Until 1936, messages of the main speaker were repeated in relay by designated people standing in between the participants of the convention. It was a time consuming process for the message from the front to pass through thousands of participants to reach the back of the audience. 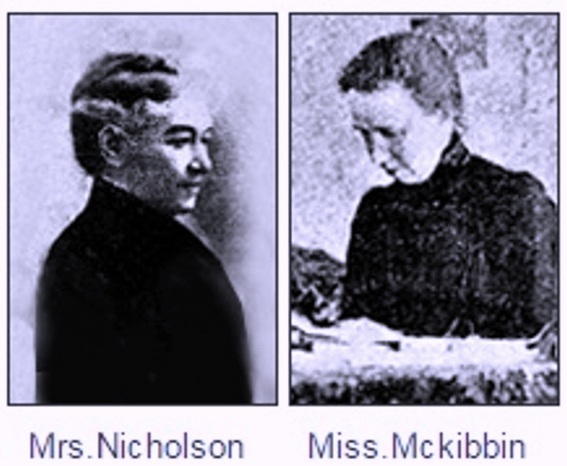 In 1936, a loud speaker and mike (microphone) set was brought to Maramon from USA by the famous missionary Rev. 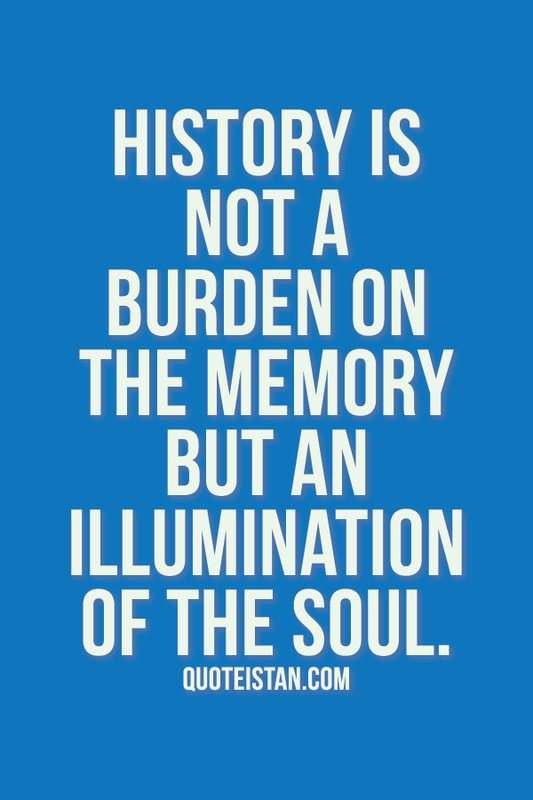 Dr. E. Stanley Jones. It was donated by one of the Christian Churches in USA. 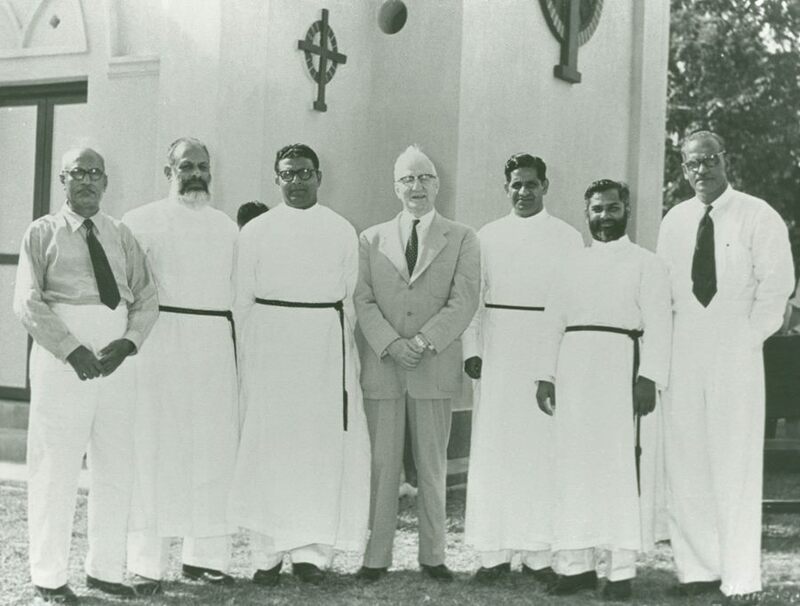 He was a well wisher of the Mar Thoma Church and encouraged the missionary zeal of the Church. 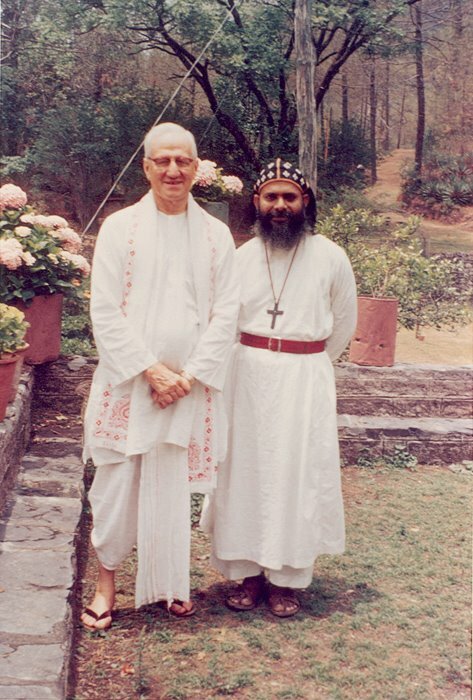 1 December, 1973: Mathews Mar Athanasius Episcopa passes away (b.7 Jun 1900). 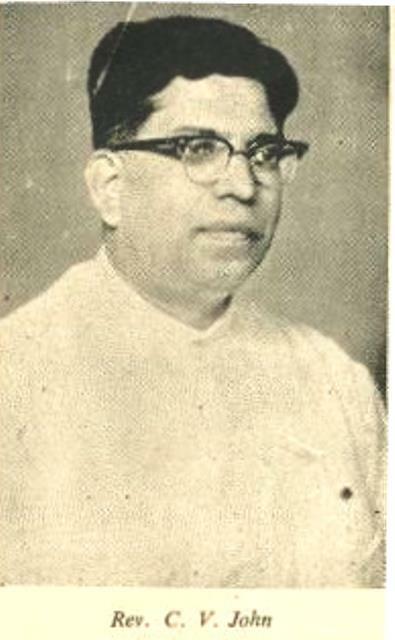 Dr. Mathews Mar Athanasius Episcopa was a member of the Kurudamannil family of Ayroor. 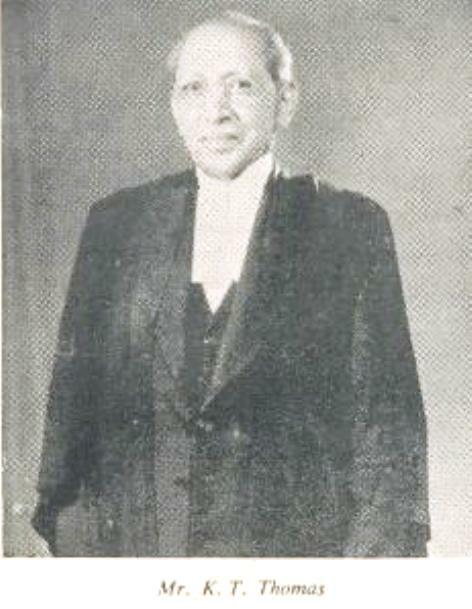 After obtaining the B.A., L.T Degrees he became the Headmaster of Keezhillam School. He took the initiative for the establishment of the Ashram High School at Perumbavoor. 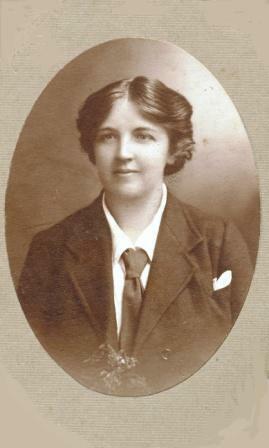 He became a priest in 1929 and Bishop in 1937. 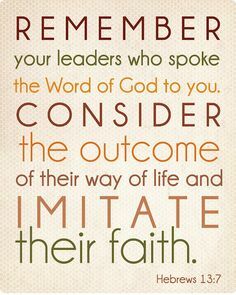 He gave able leadership to various organizations of our Church. He was called home on 1 Dec, 1973.